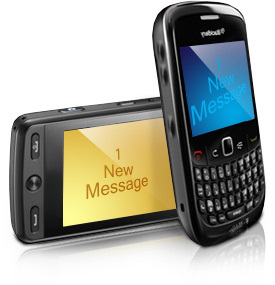 Order online Blackberry Mobile Text SMS Software to send group text messages as well as alerts. Software sends bulk numbers of SMS instantly from computer using blackberry mobile phones. Sends bulk SMS from PC by blackberry mobile phones. Exclusion list wizard facility to maintain list of contacts or groups for sending SMS. Provides option to skip duplicate number entries during SMS sending process. Advanced delay delivery feature to control and customize load of bulk SMS broadcasting.